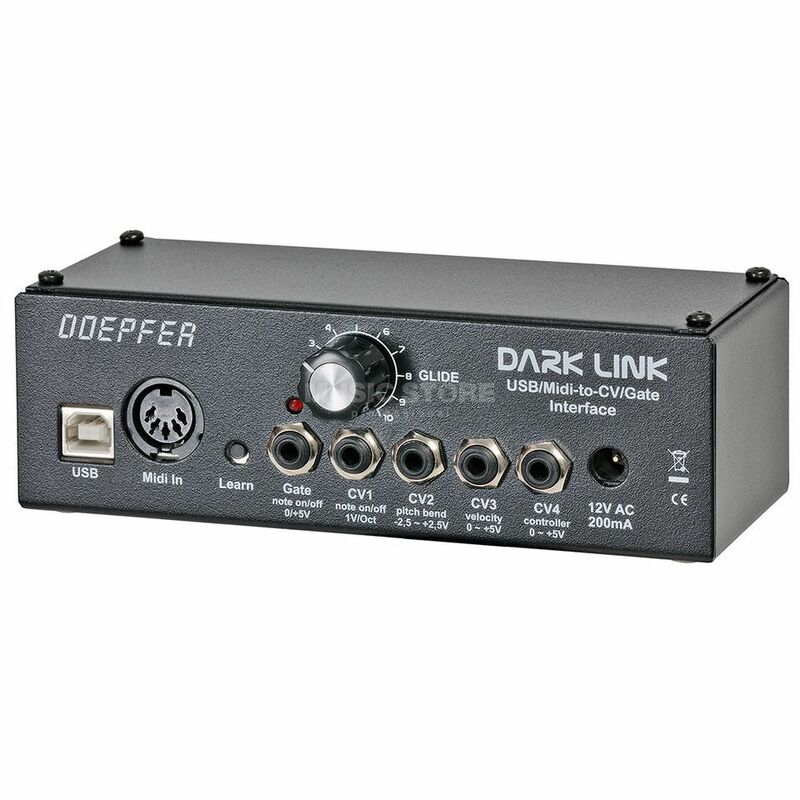 The Doepfer Dark Link USB/MIDI To CV/Gate Interface is a USB/MIDI to CV/Gate interface, with a single MIDI input, 4 analogue control voltage outputs, and a single gate output. The Doepfer Dark Link is a MIDI/USB-to-CV/Gate interface to control vintage monophonic synthesizers via MIDI or USB. The Dark Link is nothing but the USB/MIDI interface of the Dark Energy. It has available 4 analog control voltage outputs (CV1...4) and one Gate output. The other parameters (retrigger, trigger polarity, assign mode ...) are also adjusted in learn mode via program-change messages.